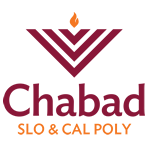 The Parent giving circle, is a group of dedicated and committed parents who want to ensure a strong and vibrant jewish life for students in SLO. HOW MUCH IS THE COMMITMENT? $1,000 covers the cost of 1 student for all the programs, dinners and events for the school year. WHAT DO I RECEIVE BY JOINING THE CIRCLE OF GIVERS? CAN IT BE PAID IN INSTALLMENTS? ARE THERE DIFFERENT LEVELS OF SUPPORT?